I am very excited to announce that RightNow Media has begun distributing “Money. Purpose. Joy.,” my seven-session video-based course. RightNow is an incredible ministry — a powerful platform that reaches several million people at more than 16,000 churches with video teaching from Francis Chan, Max Lucado, and many other Bible teachers. These churches pay a fee to RightNow, enabling them to make RightNow’s video materials available to their members at no cost to the members. In many cases, such as with my study, all people have to pay for is a discussion guide. 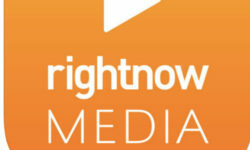 Does your church make RightNow Media content available to you? If so, to find “Money. Purpose. Joy.,” go here, log in, and scroll down to “Newly Added Bible Studies.” If not, you can also access Money. Purpose. Joy. content through this link. I normally sell the seven-video package for $39.95, but for the month of December I’m making it available for free. You could download the videos and then lead a study in January or some other time in the new year. “Money. Purpose. Joy.” is also available through RightNow Media @ Work, a platform for businesses to make video training available to their employees. Currently, over 1,200 businesses are signed up with this platform. One of the main ideas in Money. Purpose. Joy. Is that financial life change is not just a matter of knowledge and behavior. It’s very much about matters of the heart and identity. That’s where the study begins. As I point out, despite what our culture might have us believe, the Bible does not say that on the sixth day God made consumers who would use up, waste, and squander all that He made on the first five days. It says He made man and woman in His image. Financially, we’re stewards, or as I prefer, builders (Matthew 7:24-27). Getting our identity right is crucial because our life purpose and daily financial priorities flow from there. This is all unpacked in Session One. From there, you’ll hear biblical, practical teaching on developing and using a cash flow plan, living generously, building savings, ditching debt, building wealth through investing, and spending smart. It’s all taught with stories and other illustrations designed to help make the teaching memorable. The discussion guide is designed to foster engaging conversation as you and other group members encourage each other toward more productive, satisfying, God-honoring money management. January is when people are especially interested in improving their financial lives. 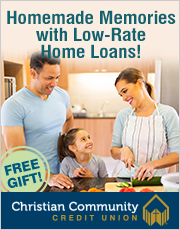 Whether you are a small group leader at your church or simply want to gather some friends in your home to learn more about biblical money management, consider leading a “Money. Purpose. Joy.” small group in the new year. The ideas in this study completely changed my financial life. I’m praying that whether through this new partnership with RightNow Media or through the temporary discount I’m making available directly, many others will see their financial lives changed for the better as well. Profitable Ideas: Sales That Are Too Good to be True, Guide to Holiday Tipping, and More. Profitable Ideas: Raising Generous Kids, Financial Death by a Thousand Cuts, and More. Our church does use Right Now media and as a frequent substitute class leader, I love it! Thank you for bringing this to my attention and thank you for your ministry! Great to hear, Mendy. Let me know if your church decides to offer a “Money. Purpose. Joy.” class. I’d love to know about that! Matt, I sure will! Thank you so much! Thanks for bringing that to my attention, Jim. It should be fixed now.